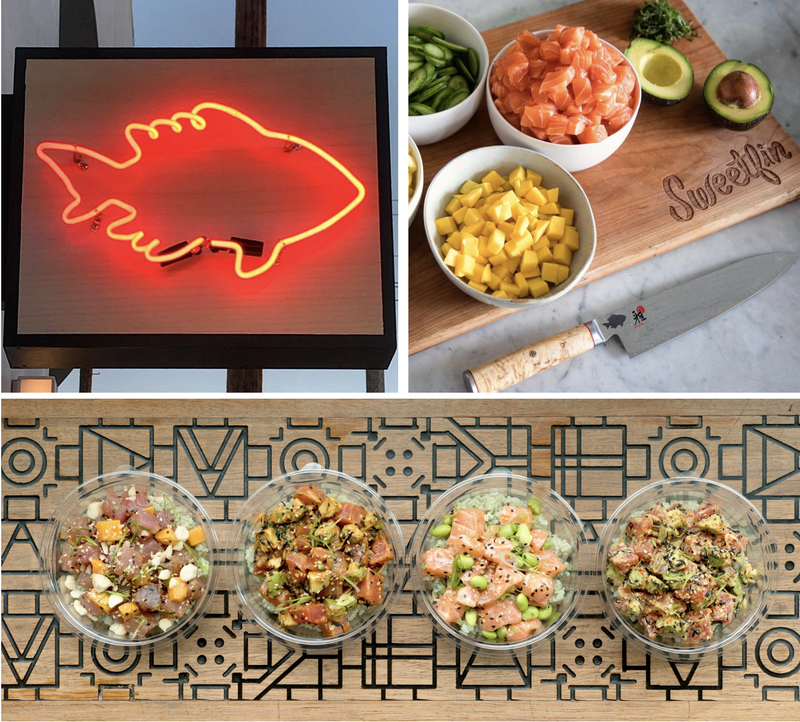 Like we don't already have enough poke shops in America's Finest City, Los Angeles-based Sweetfin Poké will join the impressive lineup of new eateries heading into Westfield UTC in La Jolla this Fall. Joining Shake Shack, NaPizza, CH Project's Raised By Wolves, Din Tai Fung dumpling house, and many others as part as Westfield UTC's massive overhaul is Sweetfin Poké, a Hawaiian fast-casual fish bowl eatery that first opened in Santa Monica in 2015 and now has seven locations around Los Angeles. 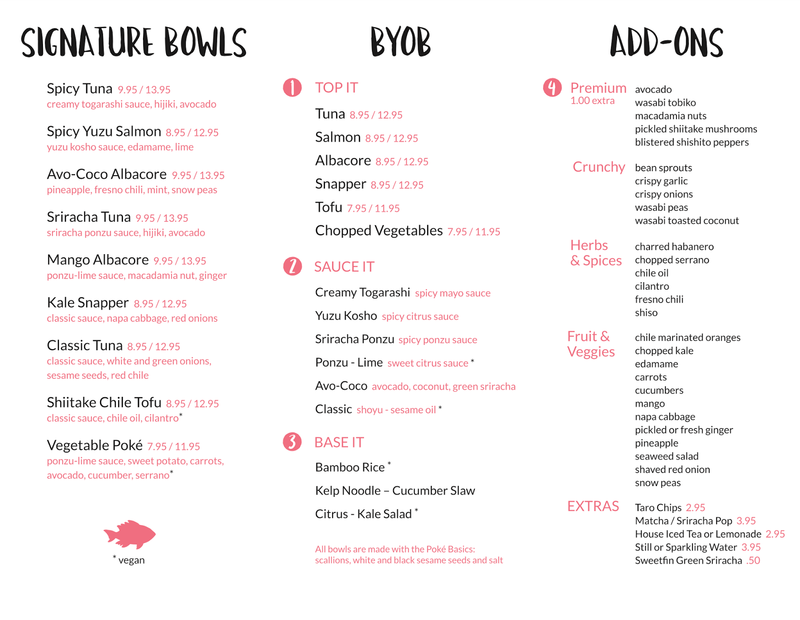 Launched by founders Seth Cohen, Alan Nathan and Brett Nestadt, Sweetfin has a menu of signature and customizable bowls designed by Chef/Partner Dakota Weiss, a former contestant on Bravo's Top Chef Texas. Shake Shack veteran David Swinghammer is currently working as a strategic advisor and investor with Sweetfin to assist in a possible national expansion of the concept. Sweetfin claims that they follow a "pole to bowl" philosophy of sustainably sourcing its fresh seafood. The Signature bowls include favorites like the Sriracha Tuna with sriracha ponzu sauce, hijiki and avocado; the Shitake Chile Tofu vegan bowl with classic sauce, chile oil and cilantro; and the Avo-Coco Albacore with pineapple, fresno chili, mint and snow peas. Sweetfin Poké is anticipated to open this October, and based off the success of the flagship San Diego location, more outposts may be headed to America's Finest City in the future. 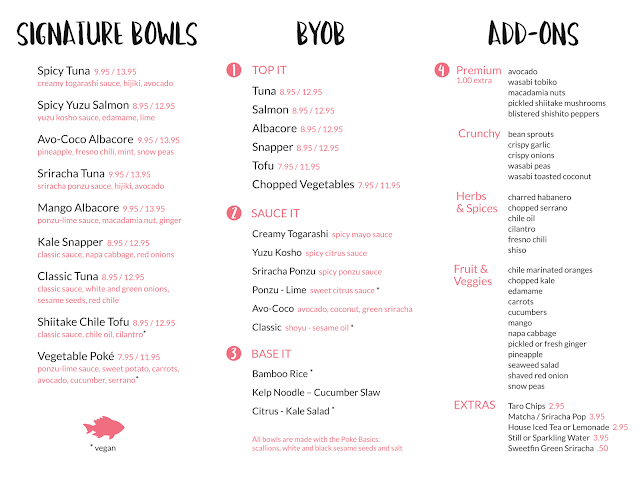 For more information, visit sweetfinpoke.com and check out the menu below.